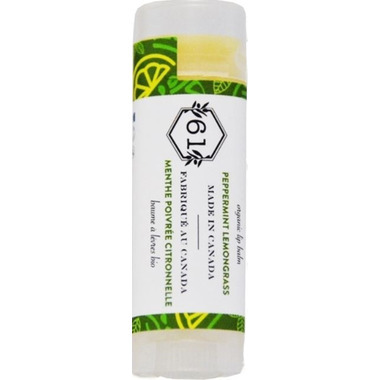 Crate 61 Organics Peppermint Lemongrass Lip Balm features organic peppermint oil that produces a fantastic cooling and tingling sensation. Mixed with lemongrass oil for a perfect fresh and minty blend! Great lip balm. Definitely more lemongrass then pepermint. A bit overwhelming. Will try a different kind next time.